It's available to companies that have installed Windows 10 Enterprise, which includes business-focused features not present in consumer versions of Windows 10. Right now, the ability to purchase apps through the Windows Store for Business is only available in 35 countries, and it's unclear what Microsoft's plans for expanding that number are in the future. 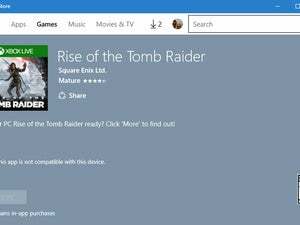 Microsoft said it will be adding support for additional purchase methods in the future, including volume discounts for customers using the Windows Store for Business. Offering an easy way for developers and businesses to connect and do volume pricing could be a win-win for both. Businesses fast access to modern software, and developers get access to potentially large orders.